With a longtime reputation of being friendly, fun, loyal and loving, it’s no wonder dogs are considered “man’s best friend.” But did you know they can be man’s best lifeline too? That’s right! Incredible canines across the country are saving and enriching lives, from finding and rescuing survivors of tragedy to treating symptoms of depression. Here’s a quick overview on just some of the important jobs our furry friends are doing for us. Top breeds: Search and rescue dogs are often Labrador Retrievers, Golden Retrievers, Border Collies, Dobermans and German Shepherds. Breed is not the only factor to consider when selecting a SAR dog to train, however. They must have a good temperament, be strong and agile and display willingness to learn and focus on one task for long periods of time. Who they help: SAR dogs are enlisted to help when someone’s missing and possibly in danger. After natural disasters, including earthquakes, tornados and tsunamis, they may help find survivors buried deep in rubble of collapsed buildings. They also assist law enforcement in locating lost children, or victims of climbing or hiking accidents. What they do: SAR dogs and their handlers work with authorities and emergency crews to locate missing or trapped individuals. They isolate human scents in the air or on the ground and work within an area until they pick up the source. They are a tremendous advantage to emergency teams particularly in challenging conditions such as extreme temperatures or terrain, or in darkness and debris. How they are trained: SAR dog training typically begins at around six months old, sessions occur several times per week and can be completed within a year. A handler or team of handlers start with a series of hide and seek games that get progressively more challenging. The puppy is “rewarded” with over-enthusiastic play after locating a “missing” person using scent. See the American Search and Rescue Dog Association for more information. Top breeds: Almost any breed of dog can serve as a hearing dog, but they must be social, respond promptly to sounds and have calm demeanor in a range of public situations. Who they help: Hearing dogs boost awareness of deaf individuals and people hard of hearing. What they do: Hearing dogs promote the safety and independence of the deaf or people hard of hearing, both in their homes and while out and about in public. They are trained to physically react to a specific set of sounds, such as their owner’s name or a household smoke alarm. In public, an owner watches and takes cues from its dog’s reactions to various sounds around them, and reacts accordingly. How they are trained: Hearing dogs are trained by both private and nonprofit organizations and can begin when they’re just a few months old. While there is of course a focus on sound training, a dog’s temperament assessment, obedience and socialization training are also critical components to successful completion of their training, which typically lasts approximately six months. Upon placement with an owner, hearing dogs may also be accompanied by their trainer to the new home for a few days for additional acclimation training. For more information on hearing and signal dogs, see Paws with a Cause. Top breeds: German Shepherds, Labradors and Golden Retrievers typically make particularly effective guide dogs. Who they help: Guide dogs assist individuals who are blind or visually impaired. What they do: Guide dogs create a partnership with blind and visually impaired individuals, helping them establish routines to function independently around the home. Another primary function of a guide dog is to help keep their owners safe while navigating public spaces, where unexpected obstacles may arise. How they are trained: After a solid socialization and obedience foundation has been established in a home setting, a guide dog begins training when they’re about 18 months old. Over the course of half a year, they are introduced to many environments, including busy urban areas. After that, they train with their owner for several weeks. Check out Guide Dogs of America for more info. 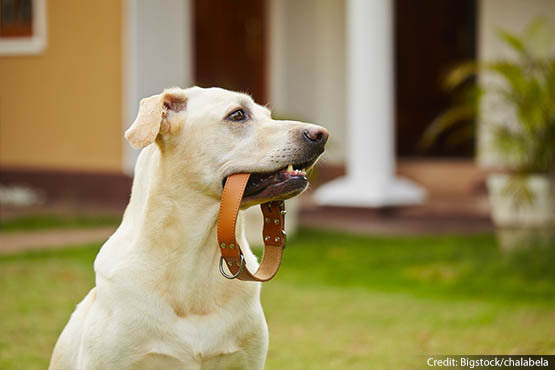 Top breeds: Labradors, Golden Retrievers and German Shepherds are common service dogs, however, many other breeds with the right characteristics will function well in this role too. Who they help: Service dogs help individuals with a range of disabilities and medical conditions, including autism, seizures and diabetes. What they do: Service dogs provide companionship to and assist disabled individuals with a variety of specific daily tasks to help them lead more independent, fulfilling lives. Some may even be trained to identify a medical emergency and alert responders. How they are trained: A series of intensive obedience and socialization training sessions over the course of a year, including reward and correction enforcements, prepares service dogs for transition and training on specific tasks that meet a new owner’s needs. See 4 Paws for Ability for more information. Top breeds: German Shepherd, Labrador Retriever, Greyhound, Beagle, Rottweiler, Pomeranian, Saint Bernard and Poodle tend to be successful therapy dogs. Who they help: Therapy dogs bring happiness, comfort and confidence to both young and old facing a range of challenging circumstances. What they do: Through affectionate physical contact and their relaxing demeanor, therapy dogs might help a stroke victim recover in the hospital, calm anxiety of someone with PTSD, lift the spirits in a nursing home or visit schools to help students with learning disabilities. How they are trained: Socialization and obedience play a large role, as handlers train therapy dogs to be extremely comfortable around strangers, in unfamiliar places and with being pet or held. Check out Angel on a Leash for more information about therapy dogs. I love dogs, but who is the author? I agree with you! I love dogs because they can help to people in many ways and they are good for kids to play with.